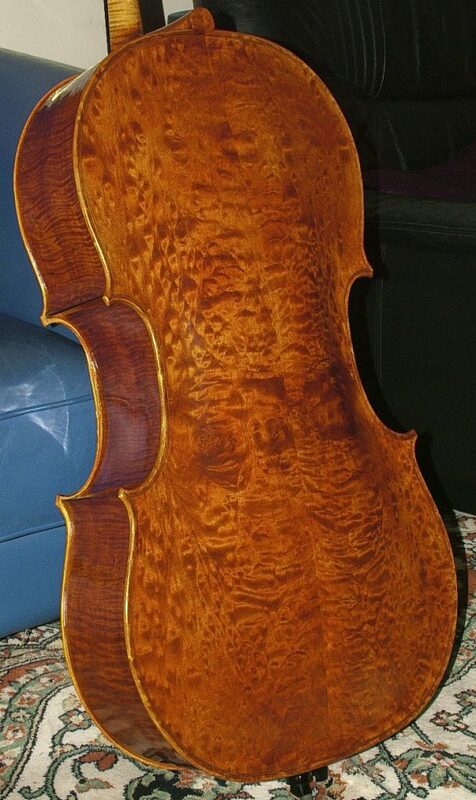 Cello made by JW Robinson. Rugeri model. Featuring a quilted maple back and sides. It has an awesome voice.